Please consult this page in the French version for the most up-to-date information about the Cambridge English exams. JEUNES DIPLOMATES has been a centre for the Cambridge English examinations since 2001 and offers preparation courses for exams. As a recognized official examination centre for Cambridge English Language Assessment, JEUNES DIPLOMATES offers General English exams and Business English for children and adults. JEUNES DIPLOMATES also offers tests (BULATS Business Language Testing Service) in English. The Cambridge English: Young Learners tests are for learners in primary and lower secondary education. The tests are designed to make a child’s early language learning experience positive and fun. The tests cover all four language skills (reading, writing, listening and speaking) and include fun activities to motivate students to do well. For practical reasons, the tests are organised in a school setting, depending on the needs and availability of the chidlren. They are organised by a member of the Exam Centre and are corrected by examiners trained by Cambridge English. Every student who takes a test gets a Cambridge English certificate – it’s a great way to reward achievement. A1 Movers, is the second level and corresponds to a level A1 in the Common European Framework for languages. A2 Flyers, the highest level of the 3 exams and corresponds to a level A2 in the Common European Framework. For more information about these exams or to hold an exam in your school, please contact us. For a better idea of the levels of these test, you can find sample papers on the Cambridge English Language Assessment site. The A2 Key English Test – focuses on Level A2 of the Commom European Framework of Reference for Languages (CEFR). It shows you can use everyday English at a basic level. Cambridge English: Key for Schools is a basic level qualification specifically designed to motivate school-aged learners. For a better idea on the level of the exam, you can find sample papers for the A2 KEY on the Cambridge English Language Assessment site (pages in English). The B1 Preliminary English Test – focuses on Level B1 of the Common European Framework of Reference for Languages (CEFR). It shows you have an intermediate level of English. For a better idea of the level of the exam, you can find examples of B1 Preliminary on the Cambridge English Language Assessment site. The B2 First focuses on Level B2 of the Common European Framework of Reference for Languages (CEFR) – an upper-intermediate level of English. keep up conversations on familiar topics. live independently in an English-speaking country. For a better idea of the level, you can find sample papers for the B2 FIRST on the Cambridge English Language Assessment site. The C1 Advanced focuses on Level C1 of the Common European Framework of Reference for Languages (CEFR) – the level required for academic and professional success. Universities and colleges in Australia, North America, Europe and beyond accept the exam for admission purposes. For a better idea of the level of the exam, you can find sample papers of the C1 Advanced on the Cambridge English Language Assessment site (pages en anglais). The JEUNES DIPLOMATES international exam centre is an official agent for the BULATS. 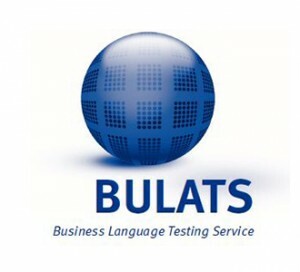 The BULATS (Business Language Testing Service) is a fast, flexible and affordable way to get accurate certification of workplace language skills. It has been conceived jointly by Cambridge English Language Assessment et three international language institutions: l’Alliance Française, Goethe-Institut and the University of Salamanque. assessing the effectiveness of language courses and training. BULATS is an on-line test which adapts to your level. The results are based on the standardised directives of ALTE (Association of Language Testers in Europe), and CEFR (Common European Framework of Reference for Languages), both internationally recognised organisations. a score for each language skill – Reading and Listening, Speaking, and Writing. Online test results are provided immediately for Online Reading and Listening and can be printed on BULATS test report paper. There is no ‘pass’ mark – BULATS scores are on a scale of 1–100. The front of the test result form gives the BULATS scores and the level on the Common European Framework or Reference for Languages (CEFR) – the internationally accepted system used for describing language ability. On the back of the test report form is a summary of Can Do statements aligned with the CEFR levels. These are functional/situational statements that describe what a candidate would be expected to do at a specific CEFR level in the language they are being tested in. For more information, visit the site: BULATS.